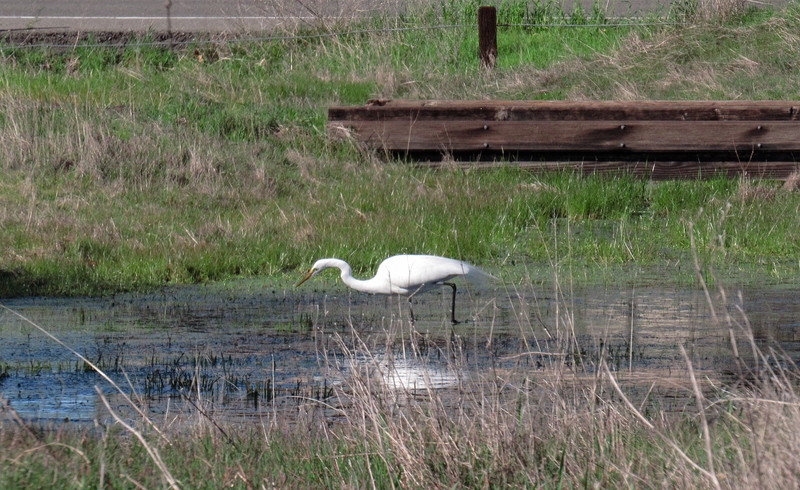 The Canada geese weren’t a big surprise, but I didn’t expect to find a pair of egrets visiting the vernal pools at Phoenix Park (near the bluffs in Fair Oaks). 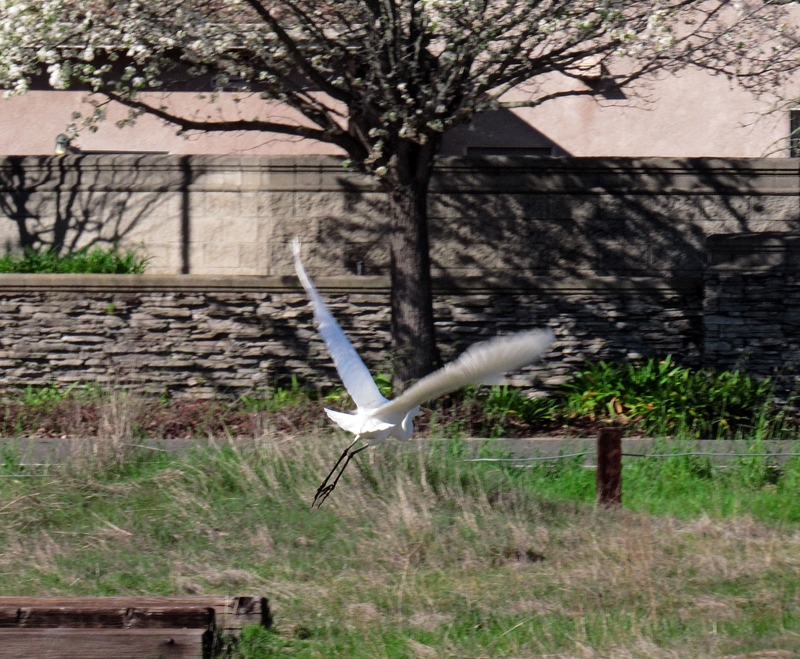 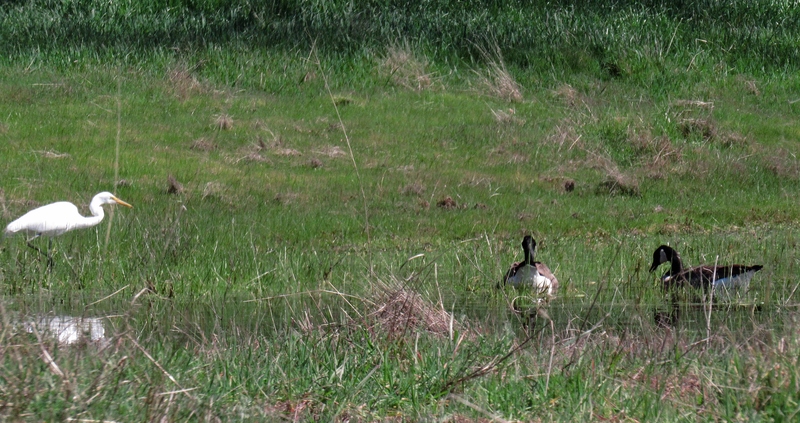 I wasn’t able to get too close, and since I was only passing through the park on my way toward Lake Natoma, I decided not to stick around and try stalking them like an actual wildlife photographer. 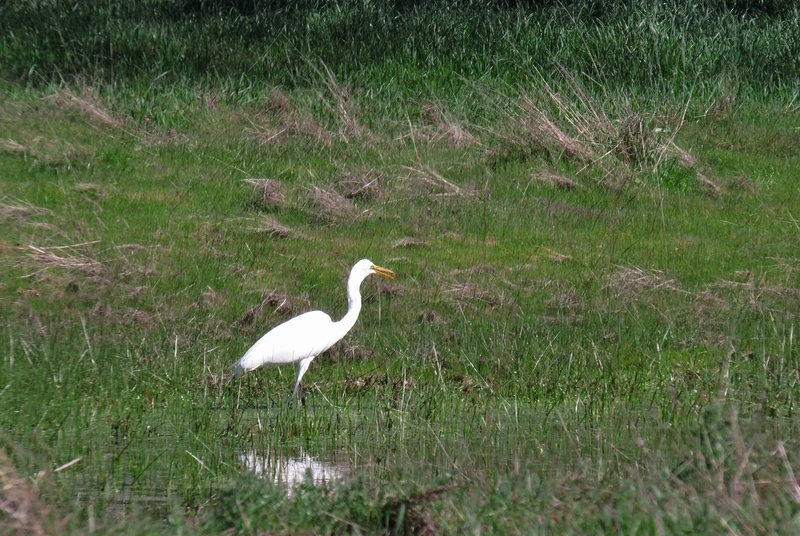 But I’ve never been able to resist these snow-white wading birds ever since the day more than 30 years ago when an egret landed on the hood of my VW Beetle as it sat in the driveway of my parents’ house!